UPDATE!! 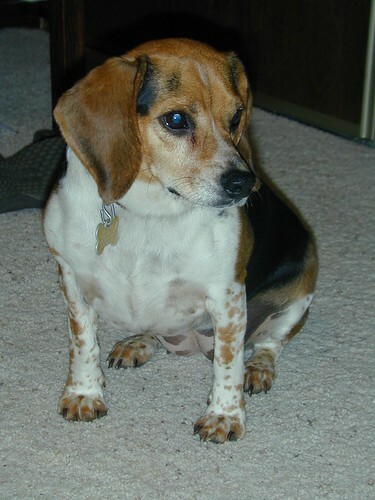 : Looking for Beagle in No Cal. Itchmo Forums for Cats & Dogs > General Pet Information > Shelter and Rescues for Adoption > UPDATE!! : Looking for Beagle in No Cal. Oh, and she specifically wants a 13". Another reason she doesn't want a puppy. Ben grew larger and she wants to make sure the pup stays on the smaller side. I'm sorry that your parents lost their beagle, but happy to hear that they are considering a rescue for a new addition. Have they/you googled or looked on Petfinder? Can't imagine there isn't at least one (likely others) who would be delighted to find a home for a rescued beagle. Let us know what they find out. thanks. Yeah, they lost him to mouth/bone cancer. But he was a lil' fighter and lasted a good year past his original diagnosis/surgery estimate. He was 12-13yo. I've started on petfinder and rescues. Will also look at breeders for any adults and see if I can hook her up to No Cal dog shows. Just thought I would put the word out here and a few other places. This is a good time of year to look at shelters and rescues at least. Re: UPDATE!! 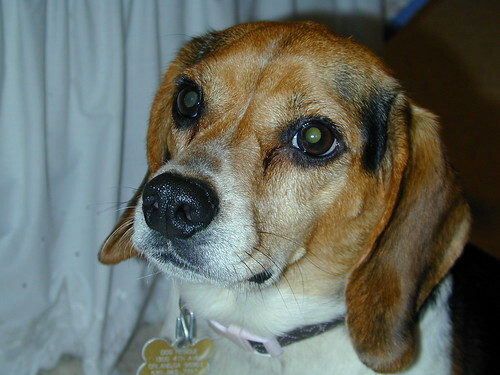 : Looking for Beagle in No Cal. I'm bumping this because I'm so happy and updating didn't do it! awesome! So happy for Girl and your parents! I can see how it must have been love at first sight! I'm happy for your parents and for the little dog; and she's so very cute! Girl is a beautiful little dog and it sounds like a perfect match. Good job all the way around!! May they have many, many years together. Congratulations!! I'd love to see more pictures. OT: Don't go to Petfinder so much anymore because I worked for two years as a katrina reunion volunteer and got so burned out by so many sad stories. While I was looking at Girl, I checked the message boards and there are still people trying to find their pets or their owners. OTOH, there are people in the central US dealing with floods who left their animals home to die. Do we never learn? Glad to hear of the happy "new beginning" for both your parents and the sweet little beagle! Thats wonderful news & she looks like a sweetheart ! What a beutiful little girl!! Thank you Straybaby's parents for giving this little girl a wonderful home!!!!!! Girl is a cutie! Bless your mom and dad for giving her a wonderful forever home! I'm sure with your guidance that she will have a good diet and drop that little extra weight in no time.